NIV Proverbs 3:5 Trust in the Lord with all your heart and lean not on your own understanding; 6 In all your ways acknowledge him, and he will make your paths straight. NIV Matthew 6:31 So do not worry, saying, “What shall we eat or what shall drink?” or “What shall we wear?” 32 For the pagans run after all these things, and your heavenly Father knows that you need them. 33 But seek first his kingdom and his righteousness, and all these things will be given to you as well. NIV Romans 8:28 And we know that in all things God works for the good of those who love him, who have been called according to his purpose. Matthew 28:20 …And lo, I am with you always, even unto the end of the world. Romans 8:31 If God is for us, who can be against us? He who did not spare his own Son, but gave him up for us all- how will he not also, along with him graciously give us all things? KJV Mark 10:27 And Jesus looking upon them saith, With men this is impossible, but not with God: for with God all things are possible. James 5:13 Is any one of you in trouble? He should pray. Is anyone happy? Let him sing songs of praise. 14 Is any one of you sick? … And the prayer offered in faith will make the sick person well; the Lord will raise him up. If he has sinned, he will be forgiven. … The prayer of a righteous man is powerful and effective. John 3:16 For God so loved the world, that he gave his only beloved son, that whosoever believeth in him, should not perish, but have ever-lasting life. Isaiah 41:10 So do not fear, for I am with you; do not be dismayed, for I am your God. I will strengthen you and help you; I will uphold you with my righteous right hand. 13 For I am the Lord, your God, who takes hold of your right hand and says to you, Do not fear; I will help you. NIV Jeremiah 29:11 & 13 For I know the plans I have for you, declares the Lord, plans to prosper you and not to harm you, plans to give you hope and a future. 13 You will seek me and find me when you seek me with all your heart. Psalms 121:7-8 The Lord will keep you from all harm- he will watch over your life; the Lord will watch over your coming and going both now and forevermore. Lamentations 3:22-25 The steadfast love of the Lord never ceases; his mercies never come to an end; they are new every morning; great is your faithfulness. The Lord is my portion, says my soul, therefore I will hope in him. The Lord is good to those who wait for him, to the soul who seeks him. NIV James 1:17-18 Every good and perfect gift is from above, coming down from the Father of the heavenly lights, who does not change like shifting shadows. 18 He chose to give us birth through the word of truth, that we might be a kind of first-fruits of all he created. KJV 1 Peter 5:7 Casting all your care on him; for he careth for you. NIV Psalm 50:15 And call upon me in the day of trouble; I will deliver you, and you will honor me. Matthew 24:13 He that shall endure unto the end, the same shall be saved. Jeremiah 31:3 I have loved thee with an everlasting love. Genesis 15:1 Fear not, I am thy shield, and thy exceeding great reward. Psalm 23 The Lord is my shepherd; I shall not want. 2 He maketh me to lie down in green pastures: he leadeth me beside the still waters. 3 He restoreth my soul: he leadeth me in the paths of righteousness for his name’s sake. 4 Yea, though I walk through the valley of the shadow of death, I will fear no evil: for thou art with me; thy rod and thy staff they comfort me. 5 Thou preparest a table before me in the presence of mine enemies: thou anointest my head with oil; my cup runneth over. 6 Surely goodness and mercy shall follow me all the day of my leff: and I will dwell in the house of the Lord for ever. Ephesians 2:4-7 But God, being rich in mercy, because of the great love with which he loved us, even when we were dead in our trespasses, made us alive together with Christ – by grace you have been saved – and raised us up with him and seated us with him in the heavenly places in Christ Jesus, so that in the coming ages he might show the immeasurable riches of his grace in kindness toward us in Christ Jesus. Ephesians 2:8 For it is by grace you have been saved, through faith – and this not from yourselves, it is the gift of God – not by works, so that no one can boast. 10 For we are God’s workmanship, created in Christ Jesus to do good works, which God prepared in advance for us to do. NIV John 6:35 Then Jesus declared, “I am the bread of life. He who comes to me will never go hungry, and he who believes in me will never be thirsty. … 39 And this is the will of him who sent me, that I shall lose none of all that he has given me, but raise them up at the last day. 40 For my Father’s will is that everyone who looks to the Son and believes in him shall have eternal life, and I will raise him up at the last day. NIV Romans 5:1 Therefore, since we have been justified through faith, we have peace with God through our Lord Jesus Christ, 2 through whom we have gained access by faith into this grace in which we now stand. And we rejoice in the hope of the glory of God. 3 Not only so, but we also rejoice in our sufferings, because we know that suffering produces perseverance; 4 perseverance, character; and character, hope. 5 And hope does not disappoint us, because God has poured out his love into our hearts by the Holy Spirit, whom he has given us. 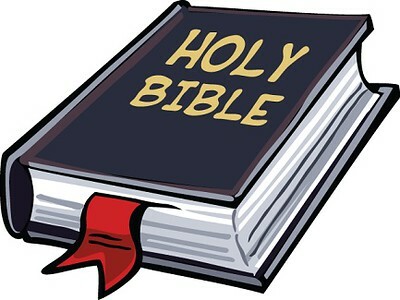 NIV John 1:1 In the beginning was the Word, and the Word was with God, and the Word was God. 2 He was with God in the beginning. 3 Through him all things were made; without him nothing was made that has been made. 4 In him was life, and that life was the light of men. 5 The light shines in the darkness, but the darkness has not understood it. NIV Romans 4:6 David says the same thing when he speaks of the blessedness of the man to whom God credits righteousness apart from works: 7 Blessed are they whose transgressions are forgiven, whose sins are covered. 8 Blessed is the man whose sin the Lord will never count against him. NIV Acts 3:2 Now a man crippled from birth was being carried to the temple … 3 When he saw Peter and John about to enter, he asked them for money. … 6 Then Peter said, “Silver or gold I do not have, but what I have I give you. In the name of Jesus Christ of Nazareth, walk.” 7 Taking him by the right hand, he helped him up, and instantly the man’s feet and ankles became strong. NIV 1 Corinthians 11:23 …The Lord Jesus, on the night he was betrayed, took break, 24 and when he had given thanks, he broke it and said, “This is my body, which is for you; do this in remembrance of me.” 25 In the same way, after supper he took the cup, saying, “This cup is the new covenant in my blood, do this, whenever you drink it, in remembrance of me.” 26 For whenever you eat this bread and drink this cup, you proclaim the Lord’s death until he comes. Matthew 6:25 Therefore I tell you, do not worry about your life, what you will eat, or drink; or about your body, what you will wear, Is not life more important that food, and the body more important than clothes? 26 Look at the birds of the air; they do not sow or reap or store away in barns, and yet your heavenly Father feeds them. Are you not much more valuable than they? Matthew 6:27 Who of you by worrying can add a single hour to his life? 28 And why do you worry about clothes? See how the lilies of the field grow. They do not labor or spin, 29 Yet I tel you that not even Solomon in allhis splendor was dressed like one of these. 30 If that is how God clothes the grass of the field, which is here today and tomorrow is thrown into the fire, will he not much more clothe you, O you of little faith?